2018 Innovations in Reading Prize: Apply Today! Last year, entrepreneur and social justice speaker Alvin Irby made waves with “Barbershop Books”: a grassroots movement to encourage young boys of color to read to their neighborhood barber in exchange for a free or discounted haircut. CNN, MSNBC, NPR and a host of other media outlets recently ran glowing stories on the positive community impact Barbershop Books is having. Irby and his colleagues owed that boost, in part, to the National Book Foundation, who bestowed its 2017 Innovations in Reading Prize to Barbershop Books. Has your Friends of the Library group created, or contributed to, a new and innovative reading initiative over the past year? If so, the National Book Foundation wants YOU to put forward your program or project for consideration as part of the 2018 Innovations in Reading Prize cycle. Parameters are relatively broad, provided your program “sustains a lifelong love of reading.” Five groups and projects will be honored at the 2018 Why Reading Matters Conference. Top prize also receives $10,000! Applications can be submitted online. Submit yours by February 28. Minnesota Library Legislative Day Registration Opens! In today’s uncertain budgetary climate, it is more important than ever to advocate for the public resources we hold dear. If you are reading this, it’s safe to assume that libraries make your personal list! 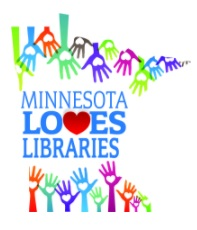 We hope you will join MALF, MLA, and library supporters from all across the state on March 5-6 for 2018 Minnesota Library Legislative Day. Held each year at the Capitol, this is our best opportunity all year round to turn out in force and state a case for robust library funding in front of our elected representatives. Festivities kick off at the Roseville Public Library on Monday, March 5 with an evening briefing focused on challenges and goals this congressional term. Optional dinner opportunities will follow. Registrants will meet in small groups with their reps on the following day, per usual. Click here to register! In preparation for this year’s festivities, organizers have rolled out a brand new website. This new resource offers a wealth of valuable data: legislative updates, an itinerary, talking points, and a “tool kit” for success on the Big Day. Be sure to check it out! MALF Seeks Treasurer; Help Spread the Word! Have a head for figures, and a heart for libraries? MALF’s treasurer is slated to rotate out of that important role by 2019, and we are currently seeking a replacement to assume those duties after a long transitional period. Read on for full details. If interested in this – or in contributing to MALF’s board or committees in some other capacity – send a brief cover letter and resume to info@mnlibraryfriends.org. Our nominating committee will respond promptly! ● Serve on the board of directors, and on MALF’s executive committee (alongside president, vice presidents, and secretary). ● Maintain the organization’s checkbook and bank account. ● Collaborate with MALF’s hired accountant to record expenses and income streams. ● Lead the Board of Directors in a quarterly review of financial reports created by the accountants. ● Chair MALF’s finance and investment committee. ● Collaborate in creation of an annual budget. ● Meet quarterly with MALF’s investment advisors. ● Participate in – and make data available from – annual internal audit. ● Renew MALF’s memberships with affiliated organizations (e.g., Minnesota Council of Nonprofits). ● Must be able to commit at least six hours per month to above activities. ● Prior experience or great familiarity with library organizations is not required, but a commitment to MALF’s mission and values is a must. ● Strong communication skills, and timely responses to all phone and email queries. ● Must maintain a personal MALF membership (minimum $10/yr). ● All meetings of the full Board of Directors, executive committee, and finance and investment committee are held in the Twin Cities. ● Note: Accountants, not Treasurer, prepare MALF’s quarterly finance reports and annual tax forms.